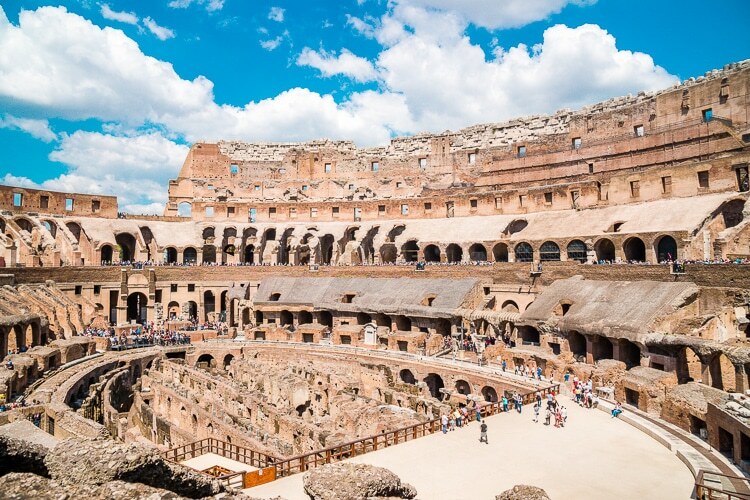 Planning a weekend trip to Rome? 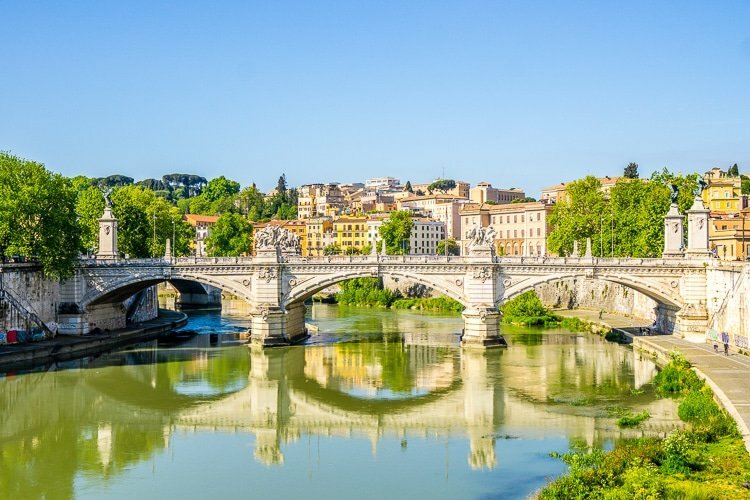 Here’s the perfect two-day itinerary in the capital of Italy! Everything you should see, do, and eat! Oh, Roma, you were everything I thought you would be and more. 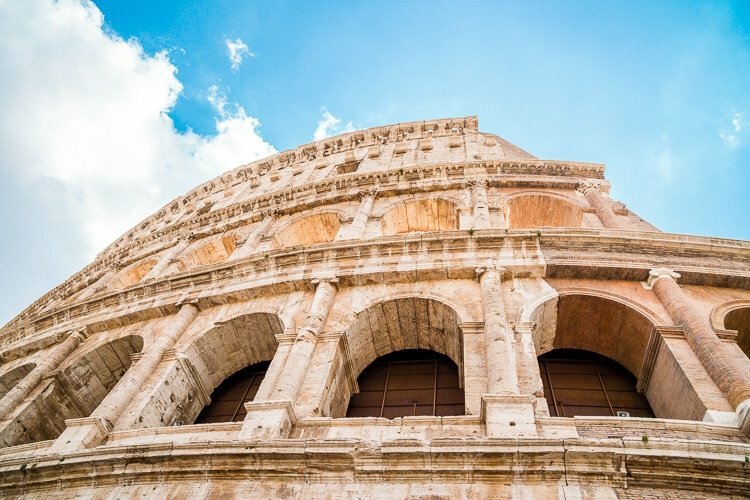 Of course, we all dream of going to Rome, don’t we? But what is it that makes Rome such a desirable destination and is it really as charming in real life as it seems? Is it the way the movies romanticize it or do we all just wish for a life of evening strolls, gelato, and Vespas? Let me tell you what I think it is, I think it’s the golden hour sun as it sweeps over St. Peter’s Square and free form tiramisu in the Jewish ghetto. 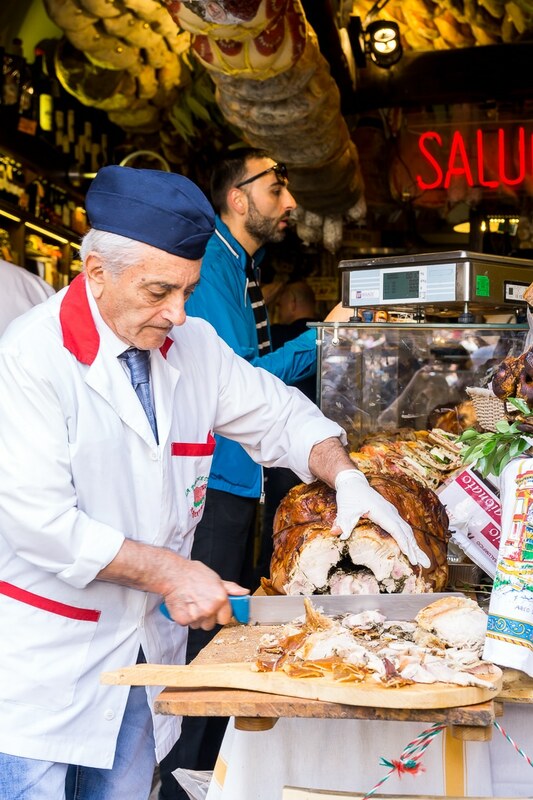 I think it’s culinary adventures hidden in the back of salumerias and pop-up shopping stalls and street performers along the Tiber. I think it’s the liveliness of a modern city surrounded by ancient ruins and holy traditions. And it’s absolutely amazing. 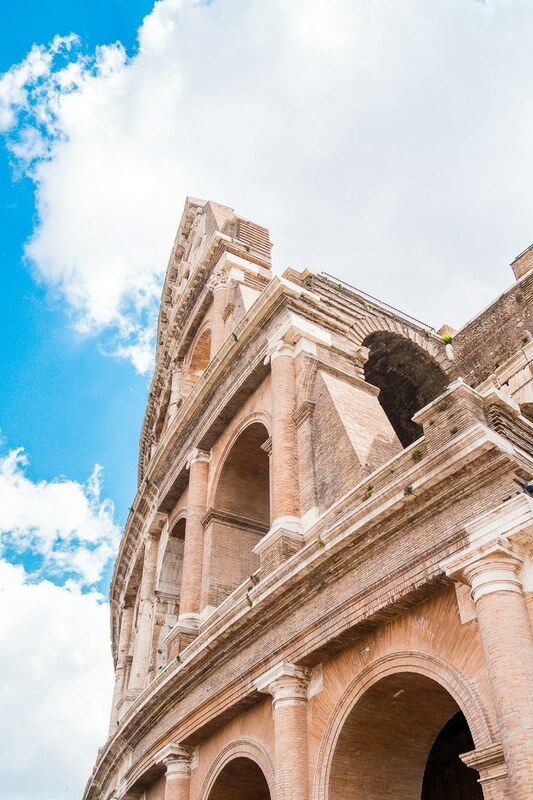 So here’s what I would consider a perfect two-day itinerary for your trip to Rome, I learned from the mistakes we made and have laid out this guide so that you can best see the main attractions at a decent pace. Each of these days should leave an extra few hours for you to fill in with extended times at the places I recommend or with your own desired destinations! Save the interactive Google Map to help guide you on your trip! We stayed at this Airbnb and felt like it was the perfect location for exploring Rome. 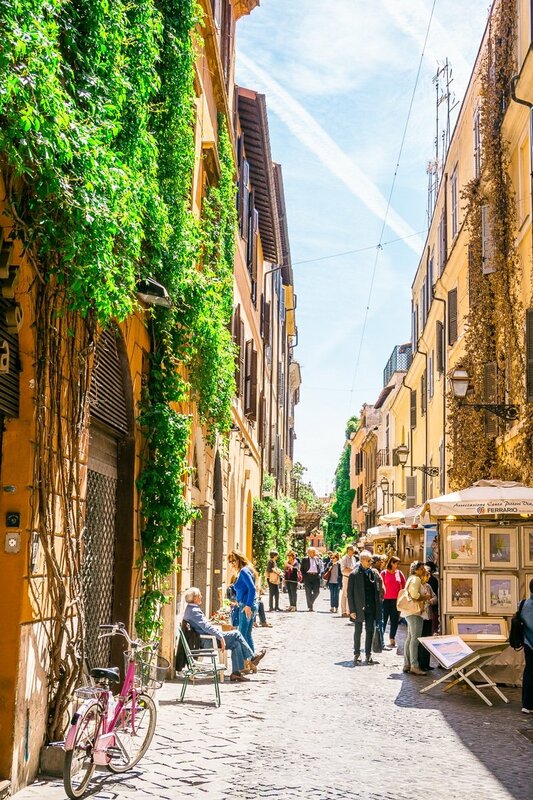 It’s located on Borgo Pio, a historic district that’s bordered by Vatican City/St. Peter’s Square and the Tiber river. We were close to everything on our side of the river and only about a 20-minute walk from the Colosseum. When we arrived at our Airbnb, our host described Rome as a tiny big city, it’s a big city, but everything is pretty close together, at least all the highlights. She was totally right, we didn’t use public transportation, taxis, or anything like that except for going to and from the airport. We walked it all! Exploring a new and big city can feel a little overwhelming, so I decided to book a guide through Showaround so that we had a personal local guide to keep us on track and to make the most of our short time in the city. We book Lucrezia, and she was amazing! Okay, so let’s get on with it, shall we? 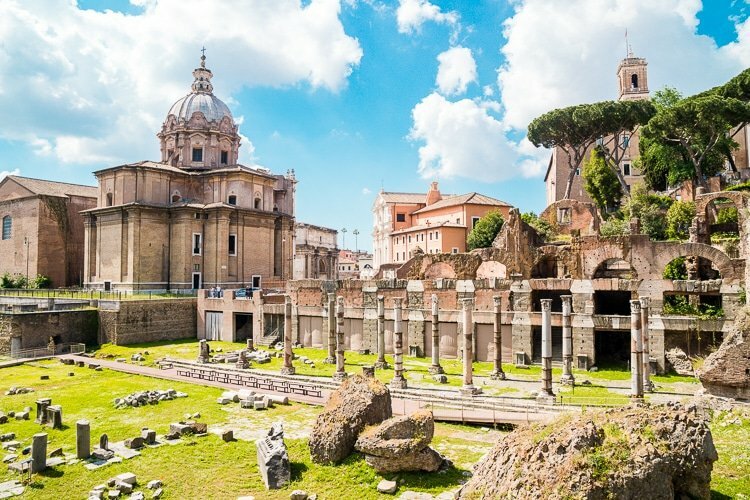 I highly recommend getting an early start on the city, there will be fewer people in the early hours and you’ll get to take in some of Rome’s most beautiful places without the crowds. Day 1: St. Peter’s Square and Basilica, Tiber, Il Fornaio, Piazza Navona, Pantheon, La Casa Del Caffè Tazza D’oro, Colosseum, Roman Forum, Il Giardino Romano, Largo di Torre Argentina. St. Peter’s Square and Basilica: So we actually tried to visit this stop on our first day, but there was a massive celebration going on in the square and tens of thousands of people were swarming it, so we decided to wait until the next day. The next day we got up and were in line for opening time at 7:00 am. It only took a few minutes to get through the line and security scanners and while we didn’t have the place to ourselves, I would say there were less than 100 people in the main portion of the basilica and many of them were attending services. I would highly recommend going as close to opening time as possible. When we went back through the square on our way to the other side of the city a couple hours later the line was already wrapping around the square. 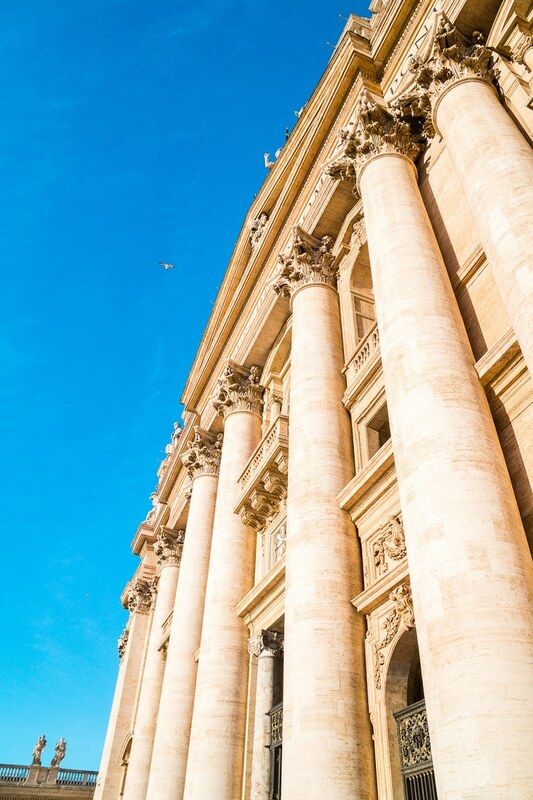 St. Peter’s Square is actually part of the Vatican City State, so if you’re a country counter *raises hand* you can check this one off your list while in Rome. The square and Basilica were designed by many hands over many years. The dome is the work of Michelangelo, although it was not completed before his death in 1564. Maderno designed the facade in the early 1600s and Bernini designed the square in the late 1600s. 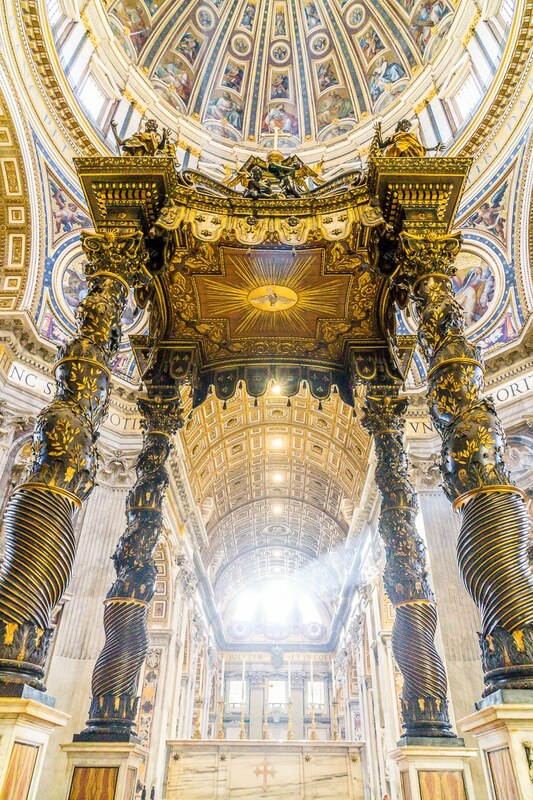 Interesting tidbit, you might notice in going there that the square is, in fact, a circle, this is because Bernini designed it to embrace visitors in “the maternal arms of Mother Church”. St. Peter’s Square and Basilica is definitely a worthwhile stop when you’re in Rome and it’s free to visit and take photographs in, something that’s become a bit unheard of these days. 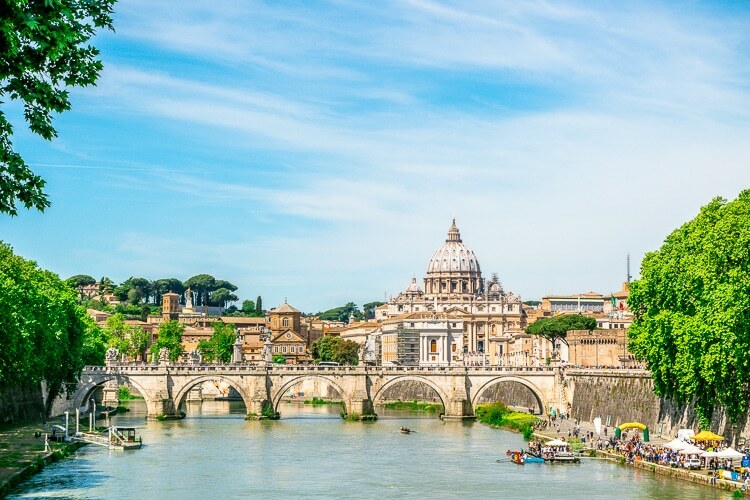 Tiber River: One of the benefits of walking everywhere is that you really get to take the city in, and one of the most beautiful views in the city (in my opinion) is that of St. Peter’s Basilica from one of the many stone bridges over the Tiber. Along the banks of the river, you’ll also find streets artists, shopping stalls, and tons of places for photo ops. In the summer months, the lower boardwalk along the river is full of restaurants, boat rentals, shops, and more! 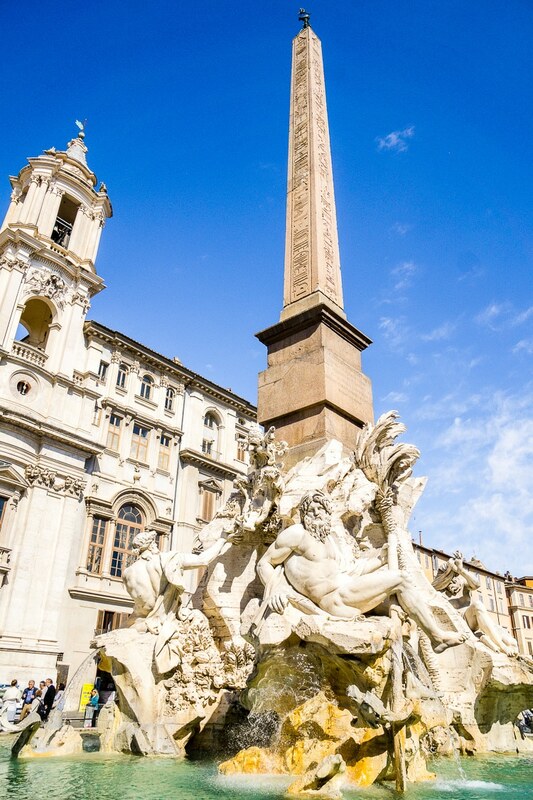 Piazza Navona: After making your way across the river and stopping at Il Fornaio for a delicious pastry, make your way to this glorious square where you can take in the Church of Sant’Agnese in Agone by Borromini and the gorgeous Fountain of the Four Rivers which is topped by the Obelisk of Domitian by Bernini. 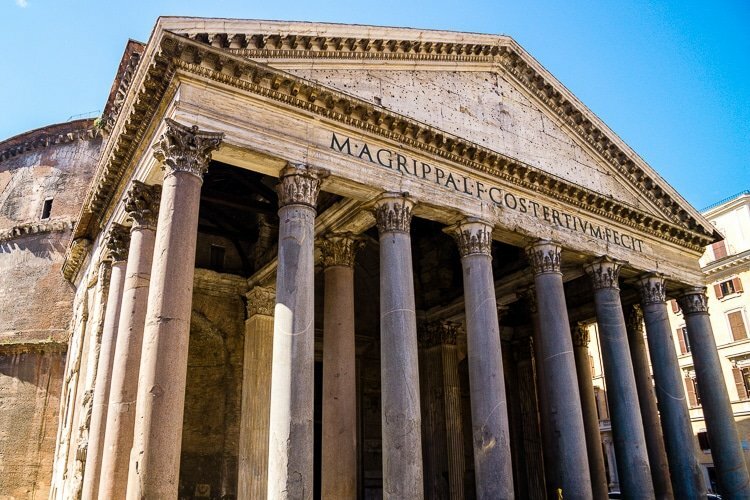 Pantheon: The name itself is Greek and means “temple of every God”, in the times of ancient Rome, it was a Roman temple, but when Rome fell, it was claimed as a church to save it from destruction and is still one of the best preserved Roman structures today and still being used as a church. It’s at least 2000 years old, but its original construction date is unknown. On your way out of the Pantheon square, make sure to stop into La Casa Del Caffè Tazza D’oro for an espresso! The Colosseum: So I’m pretty sure you can’t go to Rome and not see the Colosseum, but honestly, I wish I had. This is one of the biggest letdowns I’ve ever experienced from a major tourist site, secondly only to Stirling Castle in Scotland. First of all, getting into the place is a bit of a nightmare, even if you book your skip the line tickets online (which you pay extra for, mind you), you still have to wait in line to wait in line at the ticket office to turn your online vouchers into scannable tickets. Once you get inside, it’s filled with people and honestly, the place itself is a bit of a letdown and I think seeing it from the outside is sufficient enough as it is a very unique and beautiful structure. And this is coming from my husband and me who love history and old architecture, the Colosseum just didn’t do it for us. 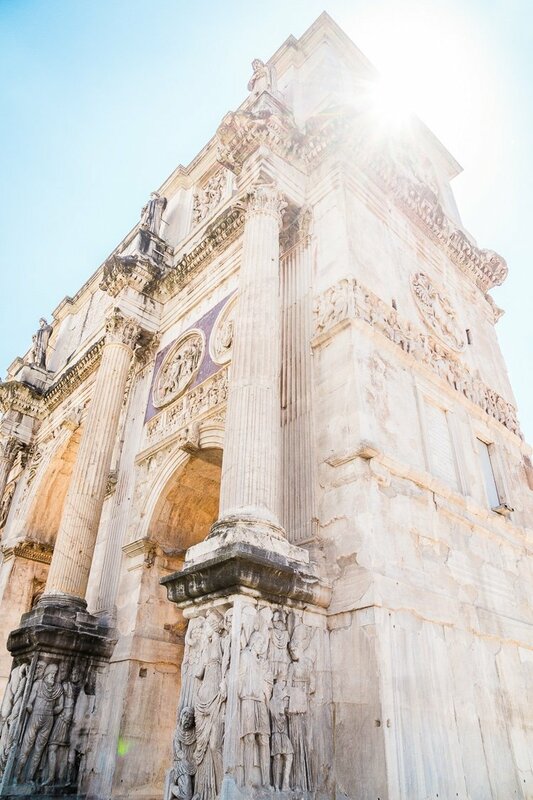 Arch of Constantine: This was one of my favorite architectural pieces in Rome. 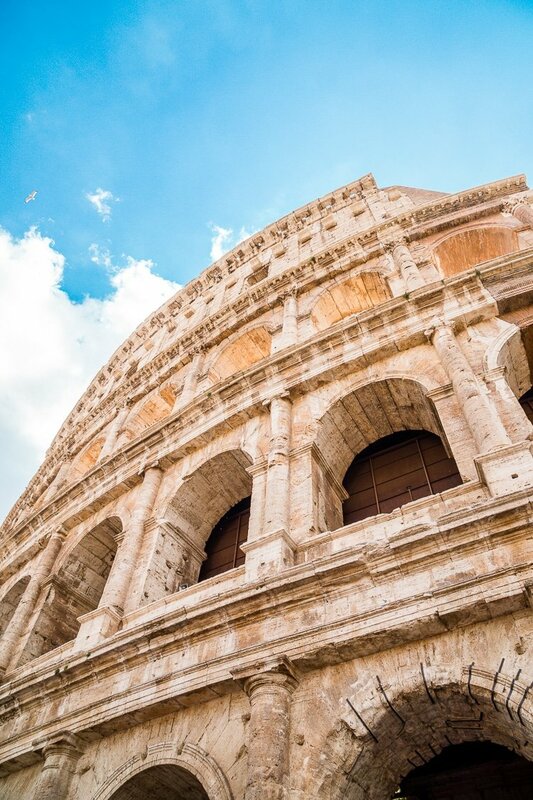 The Roman Senate erected the arch in the early 300s to commemorate Constantine’s victory over Maxentius. It is the largest Roman triumphal arch along the Via triumphalis, the route victorious emperors would take when returning to Rome. What I loved most about this arch was that it was built from pieces of other, earlier works, making it a collage of sorts. 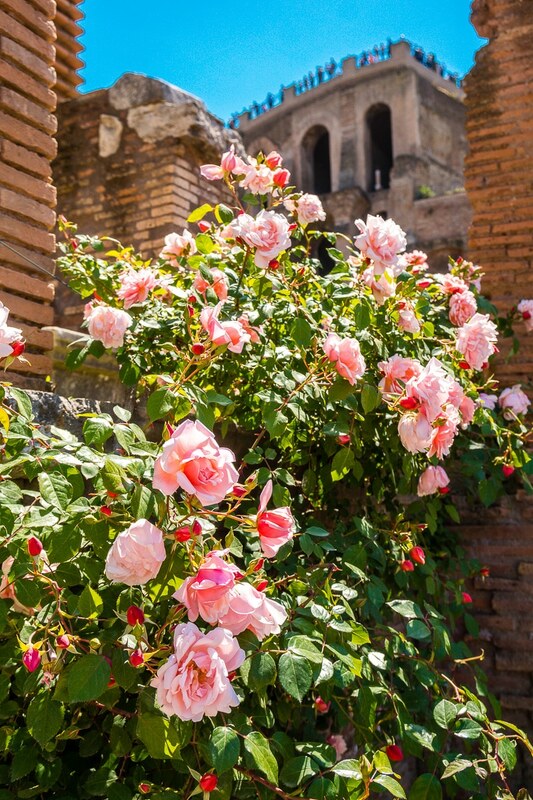 Palatine Hill & Roman Forum: This was my favorite place in Rome, I was completely swept away by the beauty of the ruins and loved exploring all of the different pieces of the ancient Roman center. 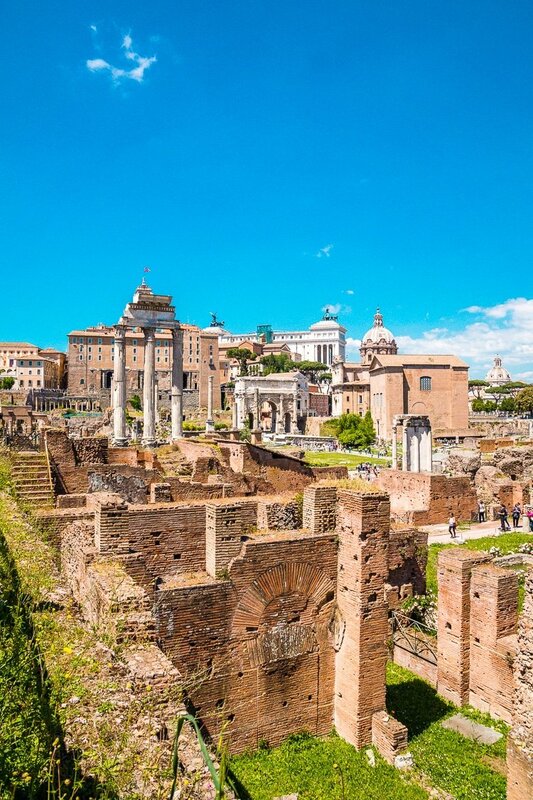 It’s rather a sight to see the sprawl of the remnants from Palatine Hill, surrounded by newer structures that are full of city life. There is so much to see and do here and you could easily spend several hours taking it all in, we spent about two hours here. 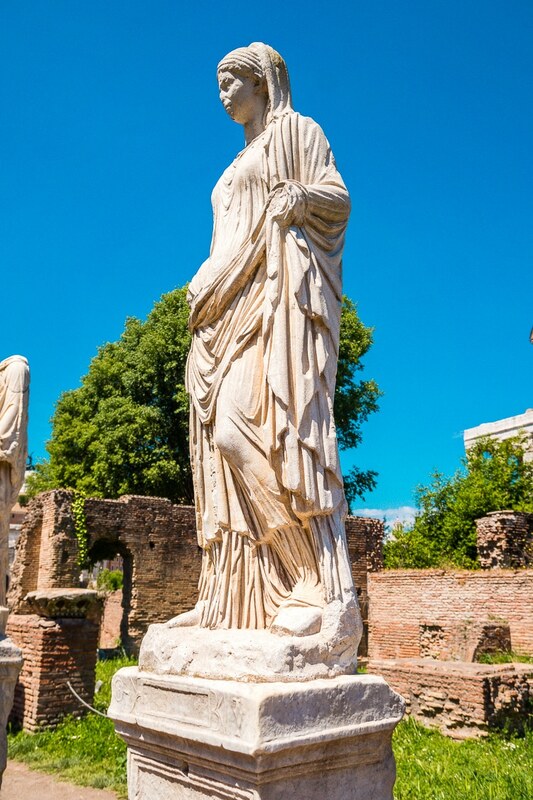 My favorite part of the forum was the House of the Vestal Virgins. 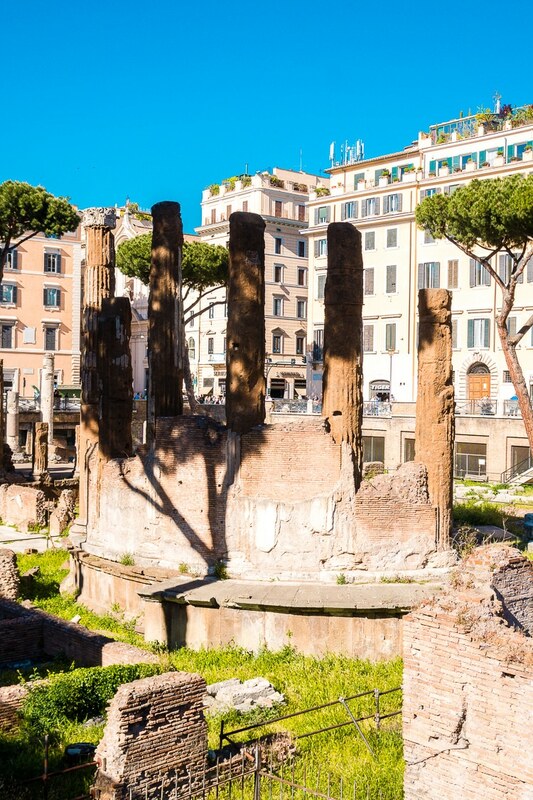 Largo di Torre Argentina: After grabbing lunch at Il Giardino Romano in the Jewish Ghetto – you absolutely have to get the Roman Artichoke – by the way, make sure to stop by this archaeological area and site of the assassination of Julius Caesar. 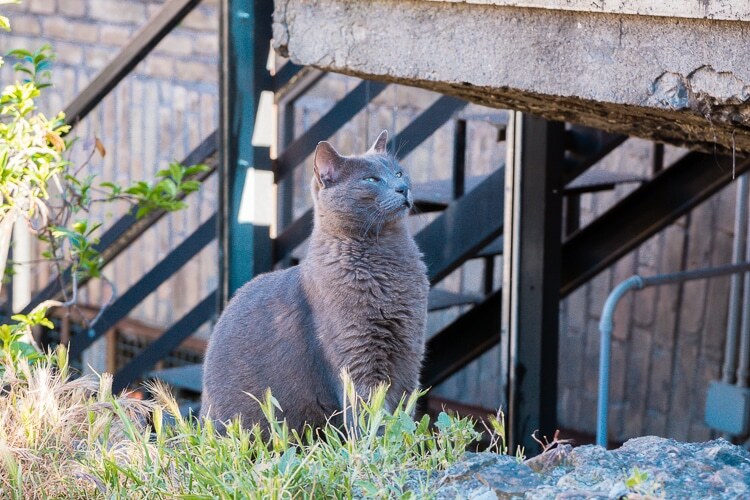 Over time, this small space in the city has become a sanctuary for cats. It’s like they have their own little Pride in the heart of Rome. A foundation takes care of the cats so they are fed and cared for and they have the run of the place, it’s like a little jungle. Day 2: Vatican Museums, Villa Borghese Gardens, Spanish Steps, Trevi Fountain, L’Antica Salumeria. 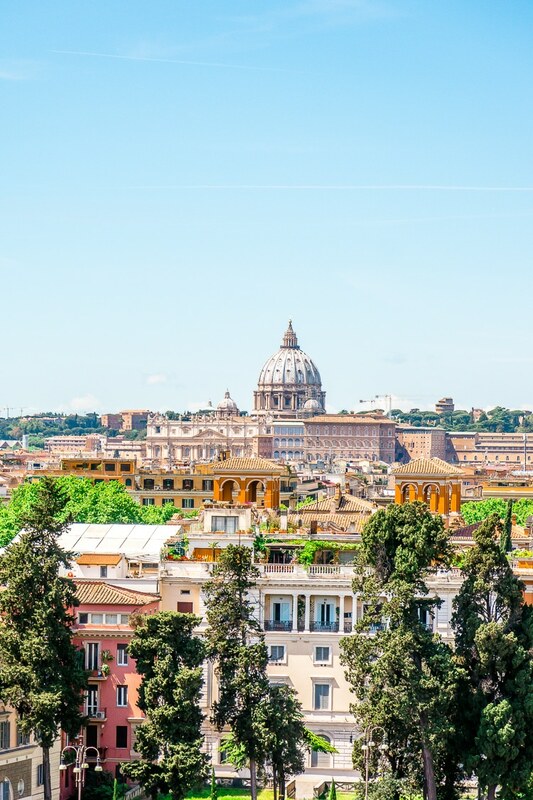 Vatican Museums & Sistine Chapel: While we did not make it into the museums due to the dates we were in the city, we easily could have worked it into our Itinerary. 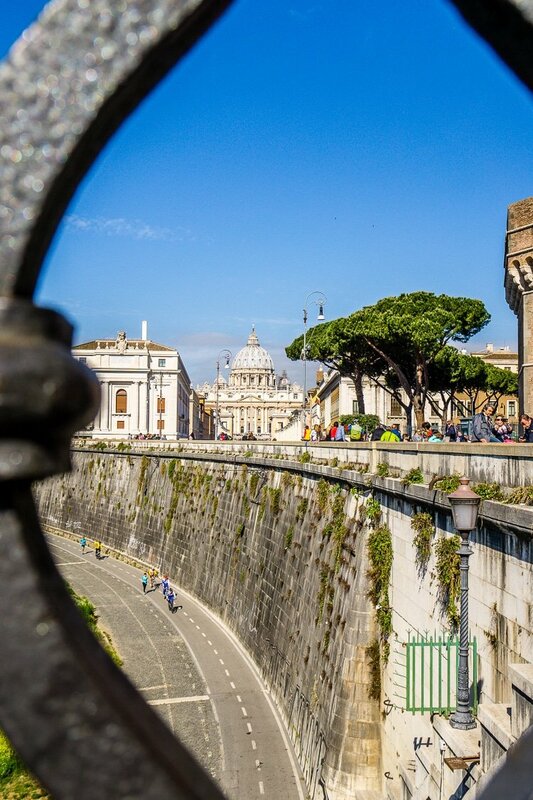 You can book tickets online, it is important to note that the Vatican Museums and Sistine Chapel are not open on Sundays, except the last Sunday of the month, in which the entrance is free. Just be aware that while free sounds great, it’s actually really awful because it means EVERYONE and their brother is going to try and go that day. So just do yourself a favor and avoid the craziness and book your tickets ahead of time! You could probably spend all day in the museums, but our guide, Lu, said that usually 2 to 3 hours is plenty. 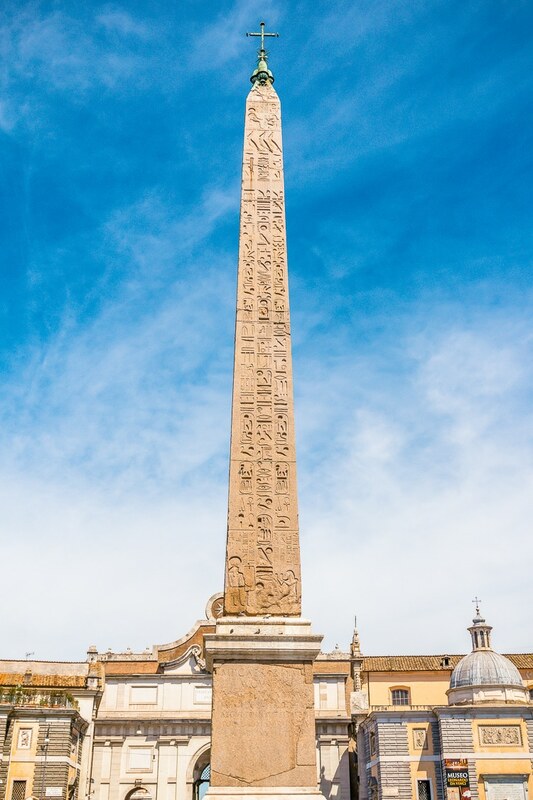 Piazza del Popolo: The public square is the People’s Square, before the days of modern transportation, this point was a traveler’s first glimpse of Rome. It was also the site of public executions until 1826. 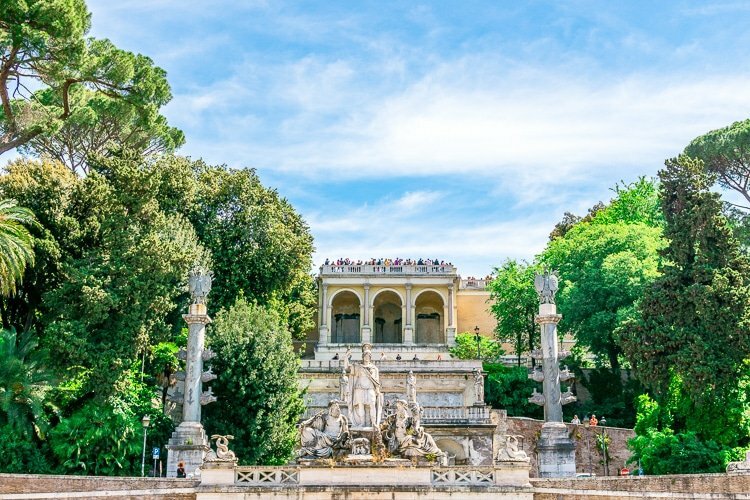 From here, you can walk the stairs to the Villa Borghese Gardens and lookout. 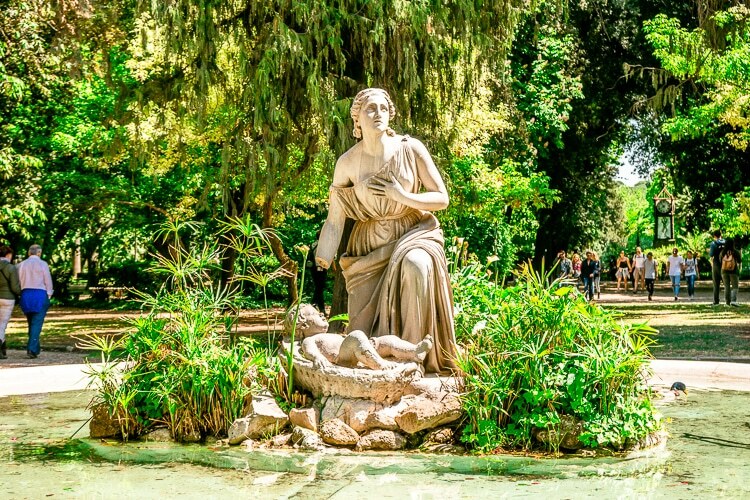 Villa Borghese Gardens: This place was something that Lu added to our itinerary and I’m so glad she did, the outlook point gave a gorgeous view of the city and the gardens were gorgeous. You’ll find food trucks and live music and street performers near the lookout, I highly recommend packing a picnic to enjoy in the gardens! 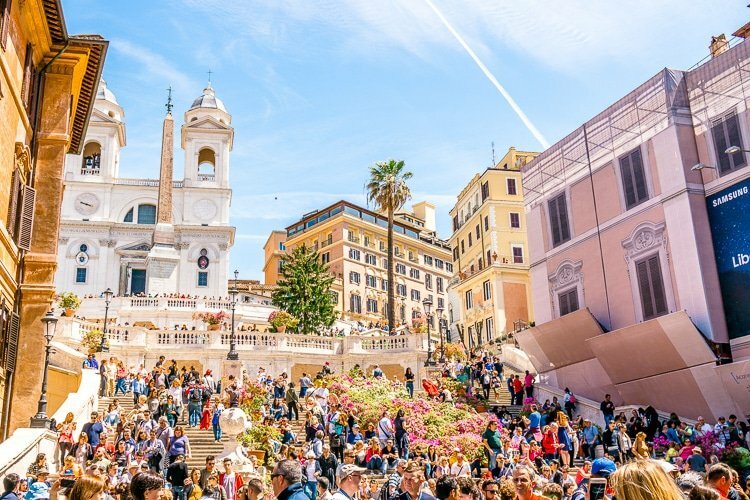 Spanish Steps: The steps and surrounding area are absolutely gorgeous, unfortunately, you’ll likely find them crowded with tourists. If only we could all agree to look at them below so we could really take in the full beauty of them. The Spanish Steps are the widest stairway in Europe and were designed in the early 1700s. 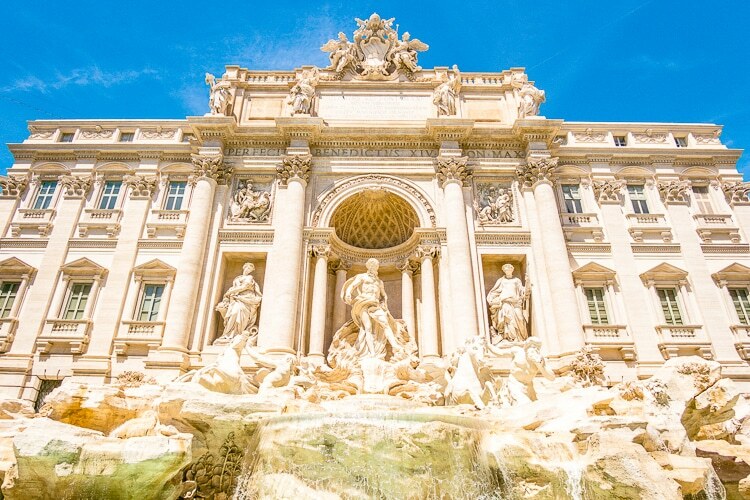 Trevi Fountain: This is one of the most famous fountains in the world, and with good reason, just look at it! It’s absolutely stunning, but don’t let this photo fool you, this place is likely the densest cluster of tourists in the city. Thankfully, I had my wide angle lens with me to capture it in all it’s glory. Most people come here, not for the architecture or to view envious selfies, but to throw coins in the fountain. The second legend was the inspiration behind the film, Three Coins in the Trevi Fountain. This legend claims that you should throw three coins into the fountain. The first coin guarantees your return to Rome, the second will ensure a new romance, and the third will ensure marriage. 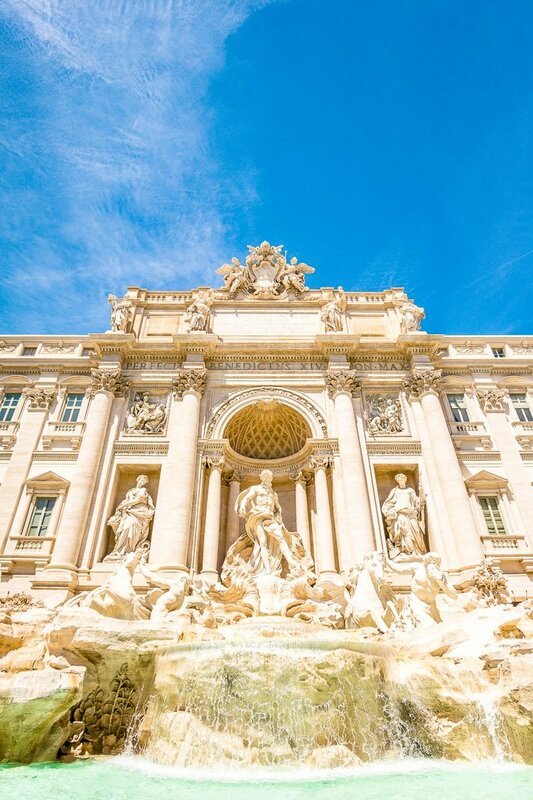 The municipality of Rome collects the coins from the Trevi Fountain every day to prevent them from being stolen. They have also created a fund in order to finance a supermarket for the poor people of Rome with the help of Italy’s Red Cross charity. About $3000 euros are thrown into the fountain each day. 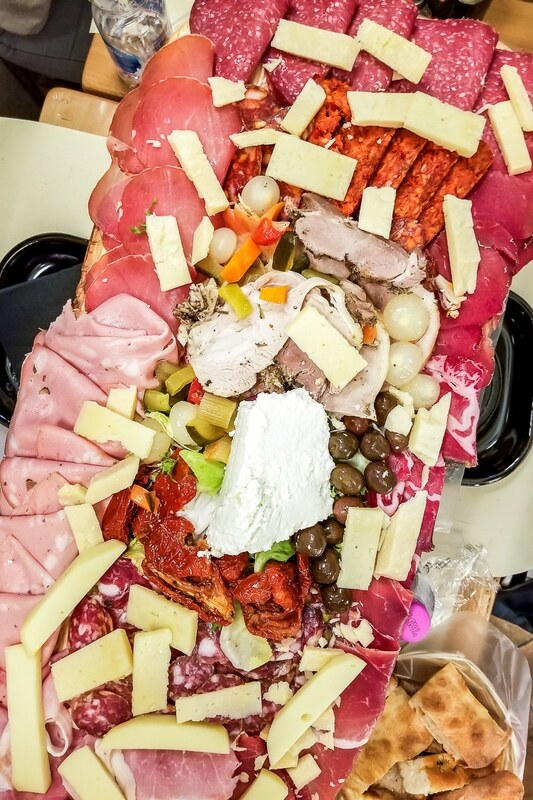 L’Antica Salumeria: This was another surprise of Lu’s, tucked away in the back of this salumeria right next to the Pantheon is a dining area where you absolutely must order the tagliere, a board of meats, cheeses, olives, and tomatoes you won’t be able to get enough of! The service at this place is fantastic and it’s such a fun experience and one not to miss while in Rome! So that’s it, that wraps up our two-day itinerary of Rome. As you can see I’ve left some meal times open, because part of the fun is discovering places on your own. Don’t forget to get some gelato while in Rome and I highly recommend Mama Frites for a late night bite if you’re staying on Borgo Pio. Hi Rebecca, I don’t know how I came across your blog, but I am so glad I did. I am heading Rome in December just before Christmas time. I am traveling alone and thought that a showaround local may be a great idea–I’ll have a companion and a guide at the same time! Did you hire Lucrezia for the entire 2 days? For how many hours? How did you agree on the itinerary? Or did she plan it for you? Thanks so much for your generosity of time and sharing your experiences. Godspeed! Hi Lin, I’m so glad you found the post helpful! We hired Lucrezia for two days, I think it was about 10 hours total, we did 4 hours one day and then 6 the next. We did a mix of places we told her we wanted to go ahead of time and then surprise spots that she picked. She also guided us in booking tickets and anything that we needed. Once we hired her, we communicated via Showaround and WhatsApp to figure out a game plan for the trip. It was a wonderful experience and I personally know that have her assistance is what made Rome so great for us, we still had plenty of time to explore on our own but it was nice having someone who knew their way around and knew the language to get us to the must-see spots at a reasonable but quick pace so we didn’t miss anything.